Made from high gloss wood panel with a patented aluminum extrusion design and comes with a glass cover, and automatic LED lights. 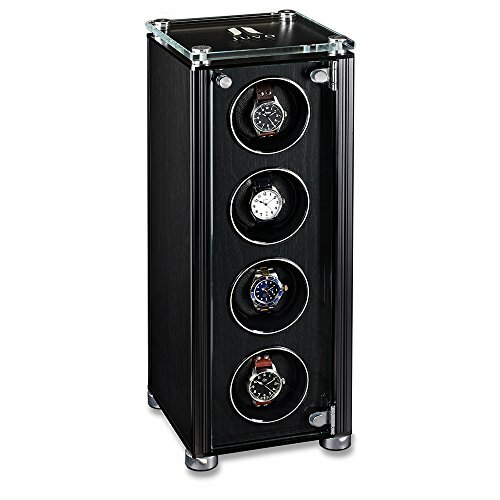 JUVO watch winder is suitable for all automatic wristwatches, and has a reliable Japanese motor with quiet operation. The 4 winding units function independently in rotation and direction setting. If you have any questions about this product by Juvo, contact us by completing and submitting the form below. If you are looking for a specif part number, please include it with your message.